Iron ore grinding adopts open circuit process and close circuit process, the ore grinding is mainly composed of the following operations: open circuit process: storage of iron ore, feeding, ore grinding, and delivery of grinded products, close circuit process: storage of iron ore, feeding, ore grinding, classification of iron ore flour mill discharge, delivery of grinded material to classfication equipment, return to flour mill to re-grind after classification equipment. Ball mill is one of the most old flour mill equipments, which is one of the earliest flour mill that was applied in iron ore grinding field. We are one of the the most professional manufactures of ball mill in the world, our products have been exported to more than 130 countries. If you have any questions, welcome contact us online. 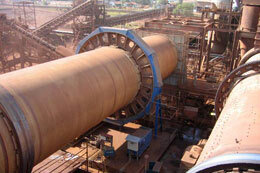 Due to the various type of iron ore, the grinding process of iron ore is complicated. 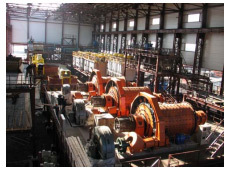 Storage of iron ore can ensure the uniformity of material and continuous working of flour mill, it is also the important precondition of flour milling of iron ore. Except for the above mentioned ball mill, we also provide vertical mill, and other flour milling equipments for clients to better selection and use. 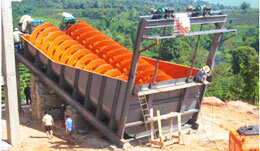 Combination of various flour mill is also usually used in a complete process of iron ore milling.